Rerandomizing ciphertexts plays an important role in protecting privacy in security protocols such as mixnets. 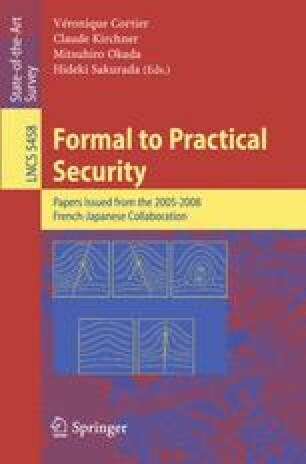 We investigate the relationship between formal and computational approaches to the analysis of the security protocols using a rerandomizable encryption scheme. We introduce a new method of dealing with composed randomnesses in an Abadi-Rogaway-style pattern, formalize a rerandomizable RCCA secure encryption scheme, and prove its computational soundness.